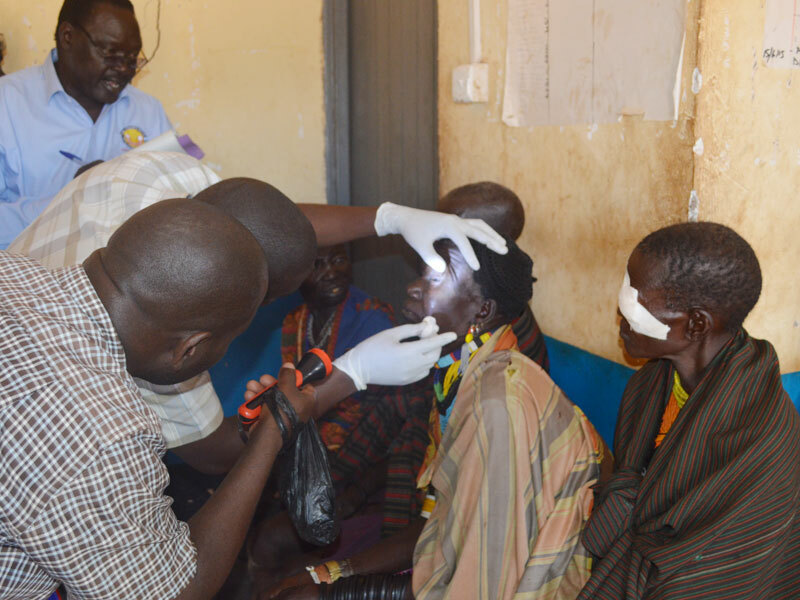 Lions Clubs of Uganda affiliated medics examine trachoma patients. Courtesy. KAMPALA. The Lions Clubs of Uganda raised own bar on the fight against trachoma higher now targeting total elimination of the eye disease in the country. In partnership with the Government, the Lions Clubs of Uganda says its objective has since changed from reducing the backlog of blinding trachoma case from Busoga and Karamoja by 65% to eliminating the disease from Uganda by 2020. The development comes after Lions Clubs International Foundation (LCIF) partnered with the Government to launch a drive, The Queen Elizabeth Diamond Jubilee Trust Fund or “The Trust,” as part of activities to mark 60 years of the Queen of England’s contribution to the Commonwealth. The Trust that aims at honouring the Queen has received donations from governments, corporate partners, trusts, foundations, community groups and individuals from the commonwealth. The Lions Club International is the world’s largest service organisation with more than 1.4 million members worldwide. The Lions Clubs of Uganda are part of that global fraternity. There are about 25 Clubs in Uganda. The Lions Clubs have invested more than Shs3.6 billion in the fight against blinding trachoma in Uganda with an extra Shs1.8 billion having been approved for the same. 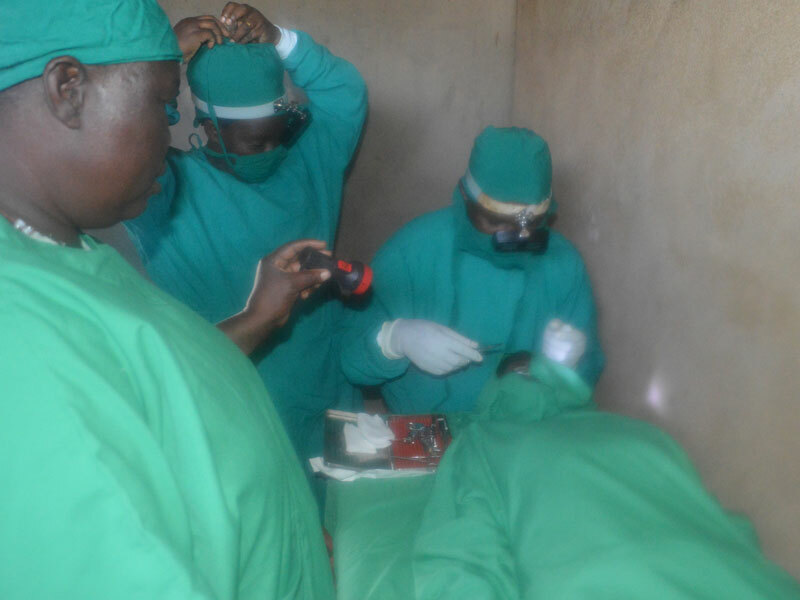 This has helped perform more than 25,595 surgeries, train 52 Trachoma Trichiasis surgeons and 3,988 Trachoma Trichiasis case finders, hence achieving the set target in the first three years of eliminating Trachoma from Busoga and Karamoja sub-regions. With the new funding, the Club seeks to extend interventions to the ‘extension areas’ that include Agago, Amuru, Gulu, Lamwo, Pader, and Dokolo districts. Others are Nwoya, Oyam, Amolator, Adjumani, Moyo, Yumbe, Budaka, Butaleja, Kiboko, Kaberamaido and Buliisa. The fight to eliminate trachoma in Uganda is supervised and monitored by the Ministry of Health and a consortium of partners such as the Carter Centre, Sightsavers as well as Christian Blind Mission as implementing partners for the surgeries. The Lions Clubs of Uganda do compliment the social mobilisation and advocacy for the fight against trachoma. Trachoma is an infectious disease of the eye caused by chlamydia trachomatis and is one of the leading causes of preventable blindness. It is responsible for approximately 3% of the world’s blindness. Worldwide, there are about eight million people irreversibly blind due to trachoma. The disease continues to be endemic in 55 countries, mainly in the poorest and most remote areas of Africa and Asia. It is spread easily by contact with an infected person’s hands or clothing, or by flies that have come in contact with the eyes or nose of an infected person. In Uganda, Trachoma is endemic in 19 of the 112 districts in Uganda.